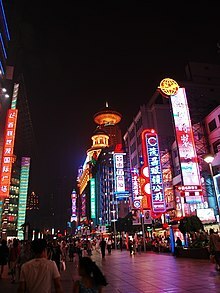 ^ "Nanjing Road Pedestrian Walkway". Archived from the original on 2014-04-13. Retrieved 16 April 2014.